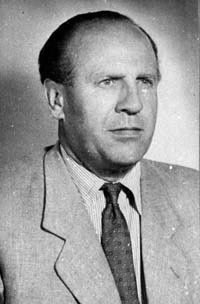 Oskar Schindler had an eye for business even if he didn't seem to be all that gifted at maintaining businesses long term in challenging economies. So, when the Nazis breached the Polish defenses and began seizing the assets and valuables of the country, he recognized that there would most surely be opportunities to purchase and run successful business in Poland. Her purchased an enamelware factory in Krakow and quickly set out figuring how he might make it profitable and self-sustaining. The Nazis had a limited need for enamel in their war effort so Oskar wanted to hire workers as cheaply as he possibly could to insure profitability. His accountant--a German speaking Jew by the name of Itzhak Stern--convinced him to hire Jews who had been forced into labor camps as they would be cheap but able to do the work. Oskar took Itzhak's advice and soon he was in the business of enamel in Poland and employed over 1,000 Jews. At first, he had hired the Jews because they would be cheap. Oskar bought into the Nazi lies that insisted the Jews were vile but his opinion was slowly being changed by regular interaction with them. He found that unlike what he had been told, his employees were good and decent people who seemed very much like himself. It was only after a little while that he began to defend them against raids, probes, and harassment. He turned the Gestapo aside and used his charm to convince others to overlook him and his little factory. When they came to take the children and handicapped, he insisted that they were highly skilled and essential workers who could not be taken if the factory was to survive. Since the factory had been labeled "important" to the Nazi war effort, Oskar's workers--often referred to as Schindlerjuden or "Schindler's Jews"--were allowed to remain under Oskar's watchful care. Oskar had found that he loved those who worked for him and could no longer believe the lies of the Nazis who had tried to make him hate people so that he might better obey their Imperial commands. In 1942, Oskar had the painful experience of seeing the Nazis ply their trade in a ghetto in Krakow. The soldiers beat, humiliated, and dragged away the Jews that they could find. They were loaded onto trains and shipped to concentration camps where they would likely work until they died from hunger and exhaustion or until they were murdered for being Jewish and undesirable to those in power. After this, Oskar began using more and more of his money and charm to protect more and more Jews. He arranged for 700 Jews to be assigned to work in a nearby factory where he could keep his eye on their welfare. He began buying some of their possessions and valuables off of the black market so that they might not lose them forever. He bribed officials and powerful people so that those he protected might continue to be protected. In other words, Oskar sacrificed the values of good business and economics to care for the people he had learned to love and adore. When the Soviets began to make progress against the Nazis and encroach upon their conquered territory, Oskar knew that soon his workers would be evacuated to concentration camps if the Nazis became nervous about their proximity to liberating Soviet forces. So, he made a request that he and his nearly 1,200 workers be shipped to another factory in Czechoslovakia where he might "better serve" the Nazi war effort. The factory he had purchased produced missile and hand grenades and his willingness to seemingly strengthen the Nazi army was smiled upon. He and his workers were shipped to the factory and began to produce missiles and hand grenades. Not a single one of the weapons they produced ever worked successfully, though. He had bought a factory that would ultimately cost him far much more money than it was worth but by this point he was far more concerned with those he loved and was protecting than he was for himself or his business ventures. He protected his workers at great cost to himself and the ruination of his own business and economic life. At the end of the war, he was nearly penniless because of his steadily increased devotion to the people God had called him to love. Oskar tried many more business ventures over the course of his life but none were especially successful for any significant period of time. He had saved over 1,200 Jews from certain death because he knew that the Faith he professed called him to lay down his life for those he loved. He died in 1974 and is remembered as a great savior and protector of the Jews in Germany. He found a way to protect even those who were within the jaws of the Nazi war machine by laying down his present and his future so that they might live. 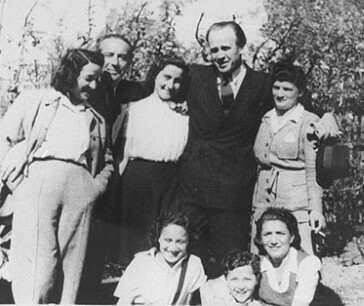 He was declared one of the "Righteous Among the Nations"during his lifetime and is memorialized by a tree planted at the Yad Vashem in Israel.